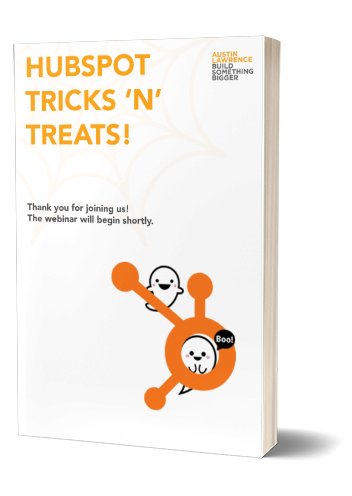 Replay the Webinar: HubSpot Tricks 'n' Treats! Because HubSpot can be downright spooky. Replay this webinar for a free online demonstration of some of our favorite HubSpot tips and tricks! After All, Every Day Is Halloween! To replay the webinar and download the slides, fill out the form to the right.